There are many reasons why a couple might want to renew their vows. After years of marriage, you might think it’s fun or important to pledge your undying love to your spouse in public once again. Or, many of the people in your life – friends and family – may not have had the opportunity to be there when you were first married, and the renewal ceremony will give them a chance to celebrate your life with your spouse at this stage of the marriage. If this really seems important to you, you really need to consider renewing your vows. The celebration can be elaborate if that’s what you desire. Or, it can be a modest event if that’s what you prefer. Making this decision all comes down to the wishes of each spouse. No matter how you choose, we can still help you plan your vow renewal ceremony. Please use the following advice to the fullest. It’s important to choose the perfect date to hold your vow renewal ceremony. And just like your wedding, picking the date is a fun and exciting part of the process. In order to add a nice touch to the ceremony, you can choose an important date that you currently share as a couple. Maybe you’ll choose the date your first child was born. Or maybe you’ll choose the day that you were married. Think of the important dates and events in your life and use them as a guideline to choose the date for your vow renewal ceremony. Now that you’ve chosen the date for this amazing event, it’s now time to call on friends, family members, and social media contacts to help you host the perfect vow renewal ceremony. An event like this can become quite expensive. But free fundraising makes it a heck of a lot easier to afford. Use all of the resources at your disposal – meaning the people that you know – and raise funds so that you can host the ideal event. Again, nostalgia can play a role when choosing the ceremony’s location. If it still exists, you may choose the location of your wedding. Or, you may have a favorite restaurant that you and your spouse love to go to and feel that it’s the ideal location for your upcoming vow renewal ceremony. Think about the most important venues in your life and consider one of them as the perfect location. 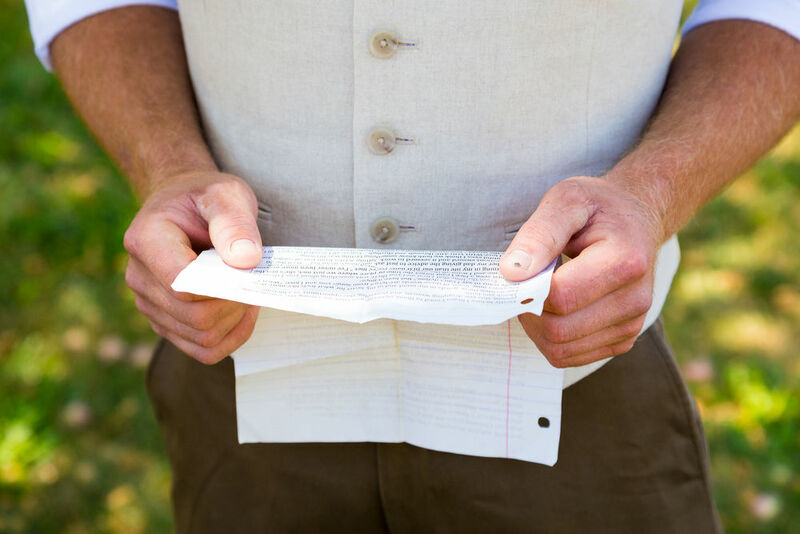 If you have a written copy of your original marriage vows, and you want to recite them again, then there’s no need to write new vows for the ceremony. On the other hand, if you cannot find your original marriage vows or prefer new ones, now’s the time to come up with the perfect vows for the ceremony. You can choose an officiant based on your religion or consider the person who originally married you to renew your vows. Is this going to be a small, intimate ceremony for the couple? Or is this going to be a huge event with hundreds of people? Decide and invite the appropriate number of guests. If it’s an intimate affair, enjoy the celebration with your spouse and closest loved ones. If it’s a large event, have fun and enjoy the celebration with hundreds of your closest friends and family members. Just remember to have fun and appreciate the moment.